I purchased not one...but two new t-shirts yesterday. Both from small handmade businesses. 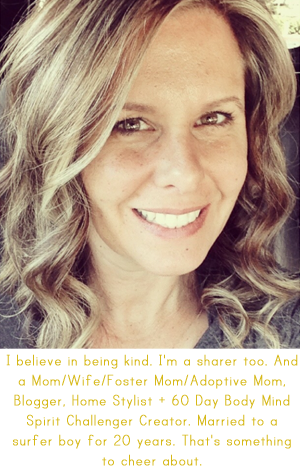 Makes my heart happy to support friends making great items! Kaia stole my 'eff cancer' t-shirt I had previous purchased from Fern & Fox Goods. 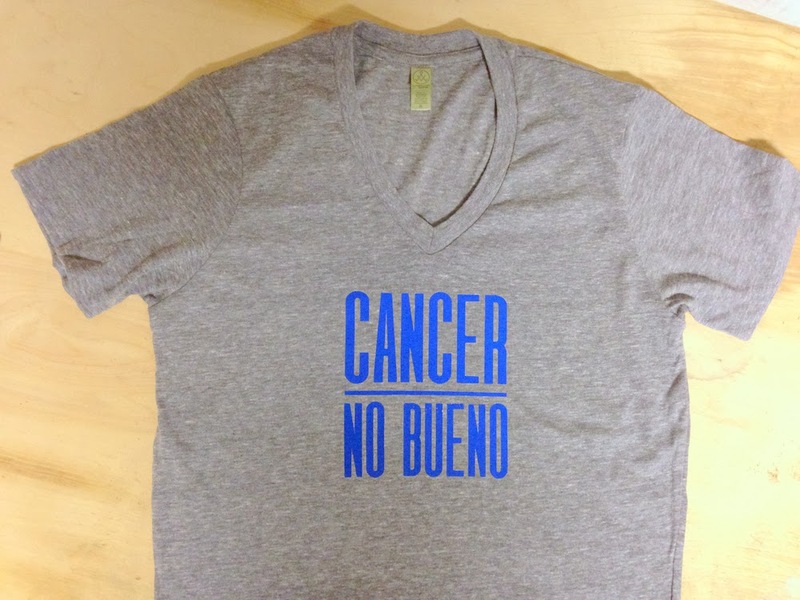 So when I saw one of my favorite phrases....'No Bueno' and Cancer together I knew I had to have it! Plus Fern & Fox Goods supports cancer research. And yesterday was National Cancer Prevention Day. 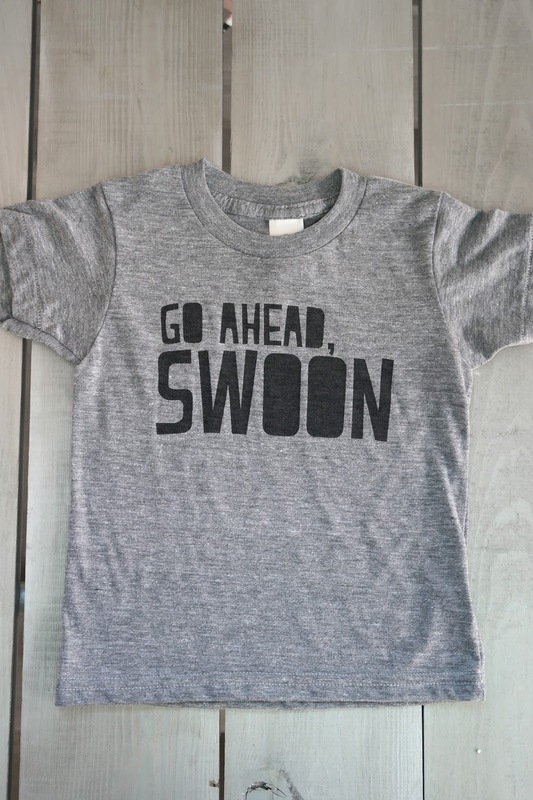 And the other t-shirt was for Little Mister! but she has a special going one one more day over at Brickyard Buffalo! I kind of wish it was in Men's sizes too. How funny would that be?